If you have not checked out the all new series on the History Channel, “Vikings” make sure you make it a point to do so. The series is set at the beginning of the Viking Age, marked by the Viking raid on Lindisfarne. This weeks episode, which is the Episode 3, is called “Dispossessed”. A monastery in Lindesfarne is about to get a firsthand look at how the Vikings operate. 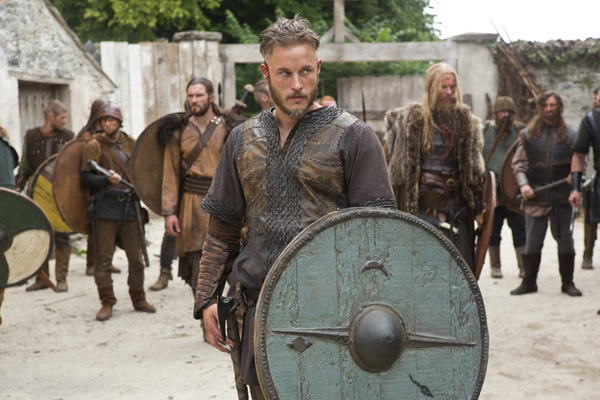 In and out in a flurry of violence and terror, Ragnar and his crew raid the monastery for everything it contains from treasure to monks who can be sold as slaves. Unable to ignore the riches this unsanctioned journey has returned, Earl Haraldson has no choice but to agree to let these warriors undertake a second trip out. The west has now been opened for the taking by Ragnar Lothbrok and the world of the Vikings will never be the same. The show will air on this Sunday, March 17 at 10 p.m. on HISTORY. The show is directed by Johan Renck and written by Michael Hirst. Here is a sneak peek of Sunday’s episode. Print article This entry was posted by Art Eddy III on March 14, 2013 at 12:31 pm, and is filed under Entertainment. Follow any responses to this post through RSS 2.0. Both comments and pings are currently closed.